← Vancouver 2010 in Fall 2009! Like the blog? Join the group! I’ve just started my own Ravelry group, “Two Strands”. I’m hoping it will grow into a fun place to discuss stranded knitting in general and my work in particular. You’re all welcome to join in the fun, talk about whatever stranded work is on your needles and ask about whatever is on your mind. Check it out! This entry was posted in Blogroll, Knitting, Mary Ann's Designs, New From Dale of Norway, Technique and tagged fair isle, fair isle knitting, Knitting, Norwegian knitting, ravelry, ravelry group, stranded knitting, two strands. Bookmark the permalink. 2 Responses to Like the blog? Join the group! Just wanted to pop in here and introduce myself. My name is Michelle and I’m a Long Islander, fairly new to knitting and quite new to fair isle. I’m just getting started, dipping my big toe in the pool of stranded knitting. 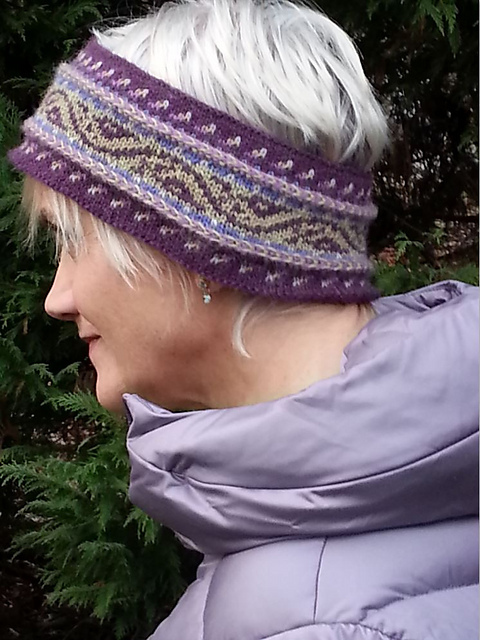 As I search for (any) beginner patterns, it seems I am always drawn to nordic-style accessories (specifically hats and mittens). At present, I am attempting to saturate my brain with as much information about stranded knitting as my conscious mind will tolerate. I’m afraid this is much like the “eyes are bigger than one’s stomach” syndrome–I crave patterns that are way beyond my skill level. Hopefully, if I take things slowly and allow myself to fail (a tall order for me), I will be well on my way to learning technique. I am so inspired by your lovely patterns/garments. Kudos to you for turning your passion into your profession. Thanks, Michelle, what a sweet note! I’m glad to see you joined the Two Strands group in Ravelry. I think you’ll find some interesting technique pointers there, too. I like to encourage knitters of all levels to add their own viewpoints and techniques, for it’s really more elucidating, more interesting and more plain old fun when we get a chance to see things from all perspectives. Don’t be too deterred by the skill level labels. I bet you’re already closer to becoming an accomplished stranded knitter than you know, for the most important elements for success, as with so many things, are an open mind and a desire to learn and it looks like you’ve already got those two locked up. Keep it up and I’m sure we’ll be oohing and ahhing over your work in no time.